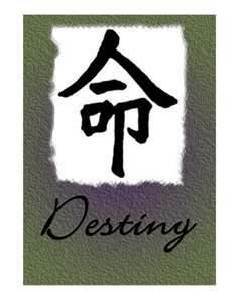 How Does Our Character Determine Our Destiny? Could Astrology Be For You? Who Is A Healer And A Wise One? How Shall We Redeem Ourselves? Our Character Is Our Destiny – How and Why? If the cloths of the Heavens were mine to give, I too would spread them under your feet. Being but a stargazer and poor like the poet, all I can do is share with you my hopes and dreams for our world through the Wisdom from the Stars I have been allowed to gain access to. And so I am spreading them before you instead. Please tread softly when, by partaking from what I have to give, you walk on my dreams. My dreams are of a peaceful world where human beings live and work together in peace and harmony. Instead of exploiting, oppressing and enslaving those around them, unselfishly they help and support each other wherever they can. All accept responsibility for themselves, each other and our world. Everybody is a wise one who has taken charge of their character and with it their own destiny and that of our world. People are tolerant and patient with each other. They have a kind and loving word not only for their nearest and dearest but for everyone, including members of other races and cultural backgrounds. Pulling in the same direction, all together we are moving forwards and upwards into an ever more peaceful and prosperous present and future. Aquarius is the sign of siblinghood, kinship and friendship among all peoples, nations and ultimately all life. It symbolises revolution, renewal, transfiguration and transmutation. In the Age of Aquarius, now upon us, humankind’s highest hopes and aspirations personally and collectively are going to find their fulfilment, on every level of our existence. Now, imagine for a moment that we are already in the midst of this new golden age. Hunger, starvation, sickness, violence and crime are no longer known. We co-exist with honesty and integrity. Lying, cheating and corruption have long been forgotten. Religions, humankind’s age-old favourite excuse for spreading hatred and bigotry, warfare and destruction, have vanished because all on this plane of life are awake to their true nature. They have re-established their inner connection and direct link with our Creator. Hand in hand with God and the Angels all life once again moves smoothly along, the way it once did in past golden ages. During the final assault on the peak of the spiritual mountain of being reunited with our Creator, the Angels and Masters, guides and helpers from the world of light showed us ever more peaceful and loving ways of being. They taught us that every human soul can beneficially influence the flow of their own destiny and that of our world by seriously working on the improvement of their character through bringing forth only the best and highest of our inner qualities. Thus we transformed our weaknesses into strength and further enhanced and made best possible use of the characteristics that had already been developed by us into strong and positive ones in other lifetimes. 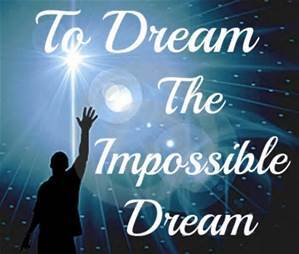 Making this peaceful dream world into a reality on the Earth plane is why I am spreading the cloth of my dreams at your feet in this part of the Stargazer’s Astro Files. The same as all my other writings, it has been woven with many colours, lots of love and a great deal of care. All those who are willing to work with me on making our dream world into a reality on the Earth plane, I ask to proceed gently and with kindness, for you will be walking not only on my dreams but also your own. And they, in the final analysis, are the visions of God and the Angels for our whole race and our world. We are part of God and God is part of us – we are God. The Godhead experiences itself through us and dreams its visions through us. At the same time, we are the dreamer and the dreamed. In some human souls the Great Father/Mother of all life experiences itself in great material riches of the Earth, in others it dreams of spiritual wealth and hopes for the freedom and ultimate release from the shackles of our planet in the Age of Aquarius. One dream is not better than any other. Each is merely a different kind of learning and our Creator getting to know different aspects of Itself. As we know by now, the world around us is an outer manifestation of the inner life of our race, individually and collectively. It acts like a mirror that constantly reflects its state back to us. Subtly and in many different ways, the Universe has always been trying to guide us and teach us by showing us better ways of living harmoniously with each other and our world. Martin Luther, the Father of the Reformation in Germany who, for the first time in its history, made the Bible accessible to lay people by translating it into German, observed: ‘Study the animal world and you will understand human behaviour much better.’ The same applies to all other parts of the world around us. Much new understanding can be found through observing the environment and intuitively interpreting what kind of messages it may contain. Have you ever observed geese heading south for the winter or when they are returning in spring, flying in their typical ‘V’ formation? If so, did you reflect on why they should be on the wing in this particular manner? Did you marvel at the Great Mother’s wisdom who decreed that geese should fly this way? For those who walk around with their inner eyes open, the animal kingdom in the flight of the geese reveals that working together – flying in formation – can also get human being more easily to where they wish to go. As each bird flaps its wings, an uplift is created for the bird immediately behind. By flying in ‘V’ formation, the whole flock has at least a seventy-one percent greater flying range than birds flying on their own. The same principle applies to the wise ones who already share a common direction and sense of community. They too can get where they are going more quickly and easily, because they are then travelling on the thrust of each other. Whenever a goose leaves the formation, it instantly feels the drag and resistance of trying to go it alone, so it quickly gets back into formation to take advantage of the lifting power of the bird in front. Human beings who have as much sense as a goose stay in formation with those who are headed the same way as they are. When the head goose gets tired, it rotates back in the wing and another goose takes the lead. Taking turns at doing demanding jobs is just as sensible for people as it is for migrating geese. They honk from behind to encourage those up front to keep up their spirit and their speed. What do we say when someone signals at us from behind? Last but by no means least, when one of the geese gets sick or is hurt in some way, it falls out of formation. The flock noticing it, two other geese the wounded one to lend help and protection. They stay with the patient until it is able to fly again or until it dies. Only then do they take off on their own either to catch up with their group or seeking to join another formation. Human beings who have as much sense as a goose also stand by each other. I find it hard to imagine why people think aspects of creation like these ‘just happened’. Surely, only a creative genius could engineer a design like this one. So, when it comes to the blessing and healing of our world, hand in hand with God and the Angels, let us all fly together in formation, so that much will be achieved with a great deal more ease than any one of us on their own could ever hope for and mountains of faith will indeed be moved. As God’s children of the Earth and young God’s in the making, our potential is unlimited. Individually and as a race, we are capable of rising to the most dizzying evolutionary heights. Our individual and collective character is the only thing that can ever stand in the way of making the progress that is rightfully ours. All negative and difficult Karma that was created in the past and to this day is being created by many is due to someone’s character flaws. 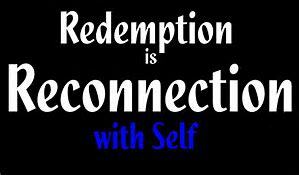 Every bit of it one day has to be made good and redeemed, either in this lifetime or another. By holding us responsible for ourselves and our character development, the Universe has placed the means for putting an end to this kind of misery in every human soul’s own hands. Before our Creator everybody is the same and no soul is better than or superior to any other. Either openly or hidden in the recesses of our subconscious, we all have been endowed with a fair share of the most unpleasant traces of human behaviour. To name but a few: utter selfishness, belligerence, arrogance, aggression and nastiness, over-possessiveness, greed and too much acquisitiveness for our planet’s material goodies, all these things are deeply embedded in every one of us and therefore hard to overcome. These characteristics are some of the lowest aspects of Aries and Taurus – find out more about them by following the links at the end of this chapter. Everybody has them because every soul, at the beginning of each new evolutionary cycle that takes us through all the signs of the zodiac, has to take part in the Aries and Taurus lessons. In our work at overcoming the negative aspects of our nature, much can be achieved with the help of astrology. In the right hands it can be turned into a veritable life-help. Our birthcharts deal with the potential we have brought with us, but we ourselves are the only ones who can tell what we have made of ours so far. The progressions and transits show us which energies are predominantly influencing us at present. 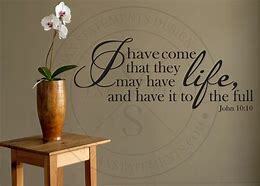 The Bible tells us that there is a right time for everything, astrology confirms that every human life contains times for reaping and others for sowing. I believe that the Divine science is meant to be used as a tool for assessing which point we have reached on our pathway through life and what energies are influencing it mostly and what kind of life lessons they are trying to bring. There are good times for launching new projects successfully and those when it is wiser to slow down to wait for another attempt. Astrology can help those who dislike people to become more tolerant through a better understanding of what is moving through their lives and the pathway they have to walk. Tolerance grows naturally from a better perception of why some folks simply cannot help behaving in certain ways and the strange things some of us insist on doing to each other, our Earth and the other Kingdoms and also to us. Broad-mindedness towards ourselves and each other is the natural by-product of an ever increasing grasp of the true purpose of our earthly existence. It comes from finding out that we are all on the same pathway and share similar lessons, and that many of people’s weird actions are due to reactions from their subconscious, where everybody’s memories of all lifetimes are stored. For as long as our instinctive responses come from there in an uncontrolled manner not a great deal can be done about them. To my mind, changes can only be made successfully by those who wake up to the realisation that each one of us is responsible for their own behaviour. Without accepting this responsibility and taking charge of our character and inner thoughts and motivations, it is just about impossible to bring about the fundamental changes that are vital for every human soul’s evolutionary progress. Isn’t it comforting to know that in the end, we all get what we deserve, no matter how long it may take? Becoming increasingly aware of this gradually makes us more tolerant and less critical towards ourselves and those around us. As we reflect on the amount of suffering we ourselves must have caused and gone through, in the course of many lifetimes, love and compassion for ourselves and our own suffering as well as that of everybody else’s begin to fill our heart. It hardly bears thinking about what those who still insist on misbehaving and bringing suffering to those around them and our world are doing to themselves. Hence, according to the legend, Jesus’ last words on the cross: ‘Father, forgive them – they know not what they are doing.’ With our present degree of awareness one cannot avoid uttering the same. The Master soul on the cross forgiving those torturing him is a fine example of how we are all required to forgive those who have ever trespassed against us. On our present level of existence there is no way of telling the reasons for certain happenings in our lives and why people still do painful things to us. Let’s take an example from the reign of the Romans. Crucifying those who had broken their laws in those days was a popular method of punishment. Now, if some of us who are here today, took part in one of those crucifixions – as we may well have done – on either side of the Roman justice system, we may have heaped enormous karmic debts upon our shoulders. That’s why, whenever I am tempted to sit in judgement over someone, I find it useful to take a moment to reflect and ask myself: ‘Will the one amongst you who is without sin, cast the first stone?’ I am sure there just isn’t one. It is for our own protection that we do not know what we have been up to in previous lifetimes. If we knew, we would probably find it impossible to live with ourselves, as every unkind word, thought and action has to be redeemed by us, if not during this lifetime, then in another. This realisation to me is the most powerful incentive of all to start working on ourselves. Only by thinking carefully about how to respond in any given situation do we take our destiny into our own hands. We then respond to the pull of our spirit, symbolised by the Sun in our birthchart, so it can help us bring forth the very best and highest that is within us. This Sun stands for the spiritual Sun, the Sun above and behind all Suns. It is the giver of all life that radiates its light and warmth through the Sun in the sky above us into us and everything that shares this existence with us. Each one of us is a spark of this great light who is constantly tries to guide us from our inner darkness of ignorance into the light of conscious awareness and knowledge of who we and It truly are. Following Its guidance and under Its protection, we shall gradually shed our fear of pursuing humankind’s most lofty ideas and dreams, irrespective of what the world around us may still believe in. As we know by now, the world around us acts like a mirror. It constantly reflects back to us what we ourselves are, especially the aspects of our nature that so far have been hidden from our earthly self’s view. And because we are magnetic beings, we attract into our lives people who are a reflection of what we ourselves are. As the law of Karma ensures that everything we send out into the world must find its way unerringly back to us, it is easy to see that improved behaviour and thinking patterns actively create better, i.e. easier Karma. That’s why I say that our character influences and determines not only everyone’s individual destiny, but also that of our whole race. It is every human soul’s birthright and duty towards itself and our Creator that we should develop our moral/spiritual fibre to its highest potential. Hand in hand with God and the Angels all of us are required to make their contribution towards shaping our world into an ever better, more beautiful and peaceful place. And that can only happen when each one of us gets to work and changes their character make-up. For anyone wishing to find a more intimate perception of their own strengths and weaknesses, as well as other people’s, there just isn’t any better tool than astrology. The new understanding of human nature it can provide us with assists us with growing ever more tolerant towards ourselves and others. In my view, there is nothing quite like astrology for pointing us to our inner motivations and helping us to unearth undiscovered soul treasures in the form of gifts and talents that thus far have been neglected, in spite of the fact that they took many lifetimes to develop. In this one they are waiting to be re-discovered, worked with and polished to a high sheen, so they can help us to carry out the specific task that has been allocated to us by the Highest forces of Creation for the evolutionary progress of our race and world. So, beware! From the mass of information that is trying to flood and invade our consciousness, as aspiring healers and lightbringers to our world we have to pick and choose the raisins from the cake that is on offer. The rest needs to be discarded. And let’s not fool ourselves. It depends upon the choices that people like you and I make whether our world continues to sink ever deeper into evil or whether it rises above it and the Earth becomes the place of our dreams. If we do not wish the former to happen, each has to make their contribution towards raising ourselves and our world onto ever higher levels of consciousness. Never forget that today is Eternity and that everything in the whole of Creation consists of vibrations. Every letter in the alphabet has a certain vibration, so has every colour and note of music. Every one of our thoughts represents a vibration and those we are sending into our world at any given moment are building and shaping our future. If our dream world is one filled wisdom and truth, love and beauty, we need to firmly keep hold of this ideal and act accordingly in all our endeavours, because that’s the kind of future we are at any moment helping to create. What we have to endure today is the result of the vibrations we sent out yesterday, i.e. in other lifetimes. And because today reflects yesterday and at the same time creates tomorrow, you can see for yourself that in fact it is Eternity. There is no need to worry unnecessarily about the daily events of earthly life. It is better by far to concern ourselves with sending forth, from the very core of our being, the vibrations we now know are helpful for creating a more agreeable future for all. Love is the supreme law of the Universe that rules everything. And today is important only in so far as the right reactions to everything that comes our way can bring future growth, happiness and harmony into earthly life. For those who have awakened to their true nature, the time has come for taking the future, their own and that of our whole world, into their hands. Each one of us will eventually be required to make their contribution towards creating a more peaceful and harmonious world. The human imagination is part of the creative processes of the Highest, which brings all things into being. As young Gods in the making and coo-creators of God, in our imagination let’s create the kind of world we would love to return to, should another lifetime be required for our educational curriculum. When Omar Khayyam wrote the above words such a long time ago, why did it take me until this lifetime to find out that our character does actually determine the flow of our destiny and how can this be? When we consciously change our behaviour patterns, actions and reactions to those around us from negative and destructive into positive and constructive ones, we are making much better progress on the evolutionary spiral of life than we used to do. And as we are evolving and growing, all life is doing the same. Our new thinking and behaviour patterns empower us to take charge of our own destiny and at the same time positively influence that of our world. ‘The fixed Air sign Aquarius is co-ruled by Saturn and Uranus. It is the eleventh sign in the zodiac and the eleventh house is its natural domain. Its keyword is: ‘I know!’ Aquarius is the sign of revolution, whose symbol is the water bearer who holds a pot in his arms from which he seems to be pouring water. Because of this, it is hardly surprising that to this day there is quite a bit of confusion about the nature of this sign. In spite of its symbol and contrary to popular beliefs, Aquarius is by no means one of the Water signs. It is an Air sign and the water that flows from the man’s vessel is not of the liquid kind. It is an allegory for the cleansing and purifying effect of fresh spiritual knowledge and wisdom that is constantly being poured from the highest levels of life into the earthly consciousness of humankind, to enable us and our world to move forwards on the evolutionary spiral of life. ‘Aquarius is the sign of siblinghood, kinship and friendship among all peoples and all nations, and ultimately with all life. In this sign the highest human hopes and aspirations can potentially find their fulfilment, on a personal as well as on the collective level. I hope I shall be forgiven for using the word siblinghood instead of brotherhood. For my liking it smacks too much of times gone by, the patriarchy with its suppression of the feminine. The true spirit of Aquarius is equal rights and opportunities for all. Fortunately, by now there is sufficient evidence in our world that this ideal is slowly but surely gaining the upper hand in the consciousness of our world. Many opportunities for conducting our lives in accordance with this principle are offered to each one of us, especially to those who are spending their present lifetime in this sign. If they so wish and are willing to work hard on themselves to fulfil the special requirements of their sign, they have excellent potential for growing into significant mental pioneers of this our New Age. ‘Yet, much love and devotion to the Highest are required. Let no-one run away with the idea that the Aquarian gifts, the same as those of all other signs, will ever automatically fall into anyone’s lap. Nothing could be further from the truth. This is especially true when Saturn is involved. The soul then has to strive particularly hard if it wishes to reach the highest possible evolutionary level in its present sign. Saturn’s keywords invariably are self-mastery and self-discipline. The Aquarian co-rulership of Saturn and Uranus clearly shows that these qualities have to be acquired before any soul can hope to be released into the spiritual freedom of this sign. All the characteristics and powers that are in God are also in every one of us. Even though in some of us they only exist in seed form, they are there nonetheless: the very best as well as the worst. The simplest way of actively and positively influencing the flow of our destiny is when one makes a conscious effort at doing our best at all times and constantly bringing forth the highest qualities from within ourselves. As spiritually everything has to be done for real, reading about these things is not enough. Our daily affairs and relationships, even the smallest and seemingly least significant ones, need to be conducted in keeping with the knowledge we now possess. When we consciously live in harmony with the Universal laws we are taking charge of our destiny and helping it to move along more positive and constructive pathways. Love is the supreme law of the Universe, from which all other laws radiate out. We were created from love and all of us are here to learn how to love wisely, the way the Great Father/Mother of all life loves us. This is the kind of love that knows when withholding is better than giving. Our prime task on the Earth plane is finding people and things to whom we can give our love and who will return it to us. We are magnetic beings and because of this we can only attract into our lives that which we ourselves are, on the outer as well as the inner level. That’s why people of a different calibre than those who are already accompanying us can only be drawn into our orbit by altering the vibrations of our own character and through this changing the emanations we send out into our world. It is impossible to achieve this through merely changing our name, because on the inner level this does not alter who and what we are. The only thing that can do this for us is a change of attitude towards life and people that is caused by our new thinking and behaviour patterns. From time to time all of us require new human encounters that can provide us with fresh consciousness expanding experiences. This alone can bring us the spiritual growth and ever increasing understanding of the higher and highest aspects of life, which we are on the Earth plane to seek. First and foremost however we are here so that we may grow in wisdom and understanding, but a heart that is filled with love is not enough in itself. We also need to strive for poise, inner strength and above all wisdom. Wisdom alone knows that sometimes it is kinder to withhold things, in particular spiritual knowledge, from others than sharing too much of it with them. Whereas uninitiated ones may withhold something for selfish reasons, wise ones do so with good and positive motives. Wisdom and love are the realm of the Great Mother of all life. Wisdom goes hand in hand with love. Love is wisdom and wisdom is love. Without love there can be no wisdom. Although wise ones do not want to deny others access to their gifts, they wish to hand them over in the right manner. Their inner wisdom tells them that sometimes it is better not to give too much. For example they may withhold some of the wisdom they gained from their life’s experiences in order to allow the other person to make their own mistakes and learn from them. Spiritual knowledge they may hold back because they sense, with the help of their inner guidance, that the soul before them is as yet unready for what they have to give. A wise one rests safely in the knowledge that God and the Angels will see to it that the younger and less experienced soul will also understand when their time for doing so has come. When someone has personally been involved in tragic events or something of this nature has happened to the folks around them, this person – the same as those directly affected – is likely to struggle with coming to terms with the seemingly senseless loss of life that so frequently has to be endured in earthly life. Sufficiently evolved souls eventually find comfort in the realisation that the whole thing was part of God’s perfect plan of life, in which nothing happens perchance or by coincidence. 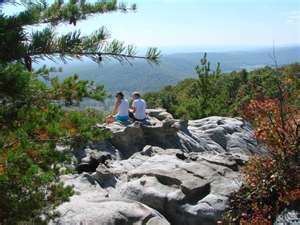 Their inner wisdom in due course consoles them with the knowledge that such earthly happenings, with all the suffering and sadness they bring, have always presented some kind of karmic redemptions for events that were once – and that could have been many lifetimes ago – caused by the vibrations those involved sent out into our world. Our friends and helpers in the world of light are an essential part of the Great Mother’s wisdom and love. These companions will never do things for us when we reach out for their helping hands. They are merely there to encourage, support and coax us along the highways and byways of life. At all times they are ready and willing to assist us by supplying us with renewed courage and strength, hope and trust that enable us to do for ourselves, so that in the end the achievement is fully our own and not theirs. The supreme law of life is Love and all other laws radiate out from it, one of them is evolution. This makes it easy to see that everything that is in us and our world, the same as all others, is continually moving to fulfil the requirements of these laws. As above, so below! As parents on the Earth plane we would like to provide our offspring, be they of the body or of the mind, with the best possible start in life, in the hope that this will help them to well later in life. Our behaviour on the Earth plane is a reflection of the Divine love that once brought each one of us into being. It is for this reason that we are allowed to make our own mistakes and errors, so that we may learn from them how to do better next time. Our own experiences alone can help us to grow in wisdom and understanding. Through tapping into our inner resources, in the course of many lifetimes we slowly but surely get stronger, more resourceful and resilient. When many lifetimes hence we eventually stir from our spiritual slumbers and, unbeknown to us at that time, the bill for the suffering we once spread about so generously is presented to us in the form of traumatic encounters and painful experiences, which we now have to endure. This serves the dual purpose of paying the karmic debts of previous lifetimes and learning about the nature of suffering, and that helps us to evolve into kinder, more loving, tolerant and compassionate beings. To help us along on the evolutionary pathway of Earth life, the love and wisdom of the Great Mother’s intelligence provided us with precious gifts like numerology and astrology. And it was for wise reasons that for a long time it was kept from us that the twin Divine sciences can be used for unravelling not only the deepest mysteries of the whole of Creation, but also those of our own existence and nature. The knowledge of these things is necessary when we begin to search ways of overcoming our deepest and darkest existential fears, so they can be left behind for good. More than anything else it is our fear of the unknown that gets in the way of daring to reach out towards a better understanding of ever higher and eventually the highest dimensions of life. This is probably the most difficult aspect of our earthly nature that is waiting to be worked with. If we fail to attend to this task, it will keep on getting in the way of the spiritual progress that is every soul’s birthright by trying to stop us from inviting new people, things and experiences into our lives. 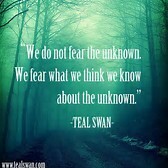 We shall return to this theme in the chapter ‘Fear Of The Unknown’. For the moment may it suffice to say that it is this fear in particular which rises into our conscious awareness whenever we encounter topics of an esoteric nature. As a result of brainwashing by the churches that lasted for centuries, that astrology is something evil that should be avoided by its followers at any cost, it is not hard to see why to this day many people are afraid of it. Fortunately their numbers are decreasing now that it is becoming ever more widely known that astrology in truth is one of the most wonderful instruments for getting to know ourselves whilst at the same time penetrating ever deeper into the mysteries of the Universe. It can be turned into an invaluable friend who provides us with signposts for a better understanding of our predestined pathway through life and pointers for discovering our strengths and weaknesses. Strengths: 1) Sun in its own sign or house and in the house or sign of its exaltation. Weaknesses: 1) Sun in the sign or house of fall or detriment. 2) Hard aspects, like conjunctions, oppositions, squares and semi-squares. More of these files may follow in due course. I believe that every ill that exists in our world has been created and is perpetuated by the twin scourges of ignorance and fear. Up to the present time they have been the two most troublesome, retarding and destructive influences for humankind. To my mind they have been barring us from finding and getting in touch with our true nature and reality for far too long. They have thus rendered our transformation from a purely earthly being into a spiritual one and robbed us of the serenity and peace of mind of knowing that we and our world at all times are resting safely in God’s hand. On top of all that they deny us the contentment and happiness as well as the ability to enjoy and make the most of our earthly sojourns, when in truth every one of God’s children of the Earth has a right to find these things. For long enough now ignorance has been hiding from us our true nature and relationship with the Highest. It has kept us away from discovering and connecting with our true self that is hidden behind or underneath our earthly personality. Divine wisdom decreed that it should be so, because only through the absence of something can we grow to recognise and learn its value and appreciate it. Therefore, it has been for wise reason that our fears kept us away from God’s truth for so long. But now that the Age of Aquarius is with us our race has reached the evolutionary point when we are increasingly ready to shed all our fears. Through an ever increasing understanding of God’s truth and knowing where to look for it, namely to the living God within instead of outer authorities, ignorance ceases to be a hindrance to our life. The religions of our world have splendidly fulfilled the role of keeping us away from God and the wisdom and truth of the Divine. 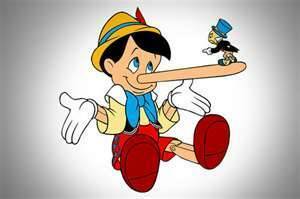 The time for this is over now that ever more of us are receiving their information from more reliable sources and have learnt look towards their inner guidance to tell them the truth from a lie. That’s why religions are fading more and more into the background of human consciousness, as you can see for yourself everywhere. It is saddening that to this day some insist on going to war over a God they fail to understand and perceive as a force outside themselves rather than an inner reality that is part of every human being and whose handling is everyone’s own responsibility. Take heart, they too will wake up from their slumbers when the time for it has come. Down the ages the fear of a God whom we failed to understand has driven and still does drive some of God’s children of the Earth to wars and persecution. Fear of the future and the unknown, which is in fact knowable if one knows how to look for it in the right place, made people follow these religions. A case of the blind leading the blind, if ever there was one. But, I believe with all my heart and soul – better still, I feel intuitively and know – that the days of such happenings are counted because of the simple fact that increasing numbers of us are now going in search of the truth. 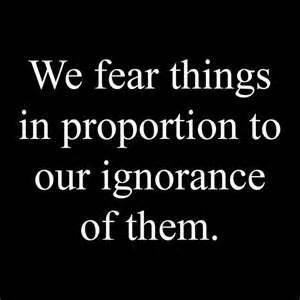 Having been a fearful person all my life, getting rid of ignorance and the fears it causes is a concern that is most dear to my heart. It has become the quest of my life and every part of my work is dedicated to ridding our world of these destructive aspects of the human predicament. But how to go about it? Well, wisdom has built into our nature that we are only afraid of and feel threatened by things for as long as we are unfamiliar with them. Getting to know you like me. The only way of learning to like and love anything is through studying it and finding out as much as possible about it. That applies to astrology as much as to anything else. At the time the Bible was written, astrology was frowned upon as a mode of fortune telling and as such, the church did not approve of it. As much as I love and appreciate astrology, in principle I do agree that it is unwise to have our lives guided by soothsayers. After all, we have been granted the gift of another lifetime on the Earth so that we may learn to trust the guidance and protection of our Highest or God Self. Wisdom saw to it that at the time the Bible came into being we were not yet to know that this cannot be supplied by forces that are outside of ourselves. It was too early to find out in those days that this is the realm of the living God, who dwells within every human soul. It is the small still voice of conscience who communicates with us through what is known as our sixth sense or intuition. 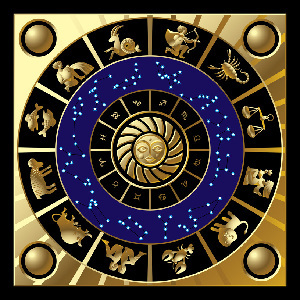 For anyone who works seriously and conscientiously with astrology it is the Divine science. As a gift from the Highest that is sacred and holy, they handle it with the respect and love it deserves. If you are familiar with other parts of my writings, you may also come to the conclusion that astrology can be something very different from what is commonly found in newspapers and magazines. I hope that this will provide you with an incentive for finding out more about the Divine science and what it can do for you. As to this day, a great deal of nonsense is written and said about astrology, listening to the reactions of your inner guidance, the small still voice of conscience, is of the utmost importance when reading something about this topic. A valuable lifehelp and a must for all who feel fear. And doesn’t everybody, if only occasionally? My own life has taught me that the Divine science can indeed provide us with a better understanding of the processes of our present existence that in many ways considerably eases our passage through it. I would not have taken any further interest in astrology if it was nothing but fortune telling. What attracted me to it like a magnet was its higher esoteric side that relates to the evolution and development of the individual and collective human psyche, the soul. Gradually more and more insights into the meaning behind all astrological concepts started to flow into my writings. As time went by, it became increasingly clear to me that in contrast to the attempts at astrological fortunetelling that have been made throughout the ages, the astrology my inner teacher has helped me find and develop draws its ideas from the higher levels of life. This raises the question: where does any inspiration we receive, as human beings on the Earth plane, actually come from? We are all receiver and transmitter stations of the Highest and its guidance is available to everyone and everything in our world. Its ideas are given freely and in my view they do not belong to any individual person but to all of us. They have their origin in the Highest and everybody’s very own small still inner voice of consciousness is one of its expressions. The flow of mine can be sparked by anything in my daily life. Fresh ideas and insights frequently arrive from where I would least expect them. I suspect that, if one went out looking for them, they would refuse to come. Frequently, I feel motivated to take a thought or an idea that was first given through someone else, a step or two further. I have never been one for swallowing things blindly. Whenever I come across a particularly interesting nugget of wisdom, before integrating it into my writings I first test and try it in my own daily life situations. That in my view is the only way any knowledge can come alive and be useful to us. Only when in my heart of hearts I know that something makes sense, when I can verify with my own eyes, inner and/or outer, that it is true, am I willing to take it on board. I only pass it on to others, if I feel that in some way it could be of interest and help to them. I have always found that the more of my findings and insights I give away, the more fresh ones come flooding in – it’s quite magical! In the early stages of my work, when I had been writing about one theme or another and maybe thought what emerged was a bit too daring and way out, time and again it happened that after a while someone else’s insights into the same subject quite naturally came my way. Usually they came through one of White Eagle’s teachings in Stella Polaris, the magazine of the White Eagle Lodge. They always felt like the Universe’s way of reassuring me that what my inner teacher told me – wrote through me – was all right and meant to be shared with others. Some might say such happenings are coincidences. How does one explain them? As we know by now, there is no such thing as coincidences and accidents and everything has purpose and meaning. That we fail to recognise them for what they are, as we often do, does not mean they don’t exist. My feeling is that these things happen because, as mentioned earlier, at least potentially we are all channels of communication, receiver and transmitter stations, for the wisdom of the Highest. This is how, when the time for doing so has come, new ideas and understanding from the Source are seeded into our collective consciousness. They are meant to be received, worked with and explored by all souls who are capable of doing so. That’s how yet another part of the spiritual knowledge of the water-bearer, the intellectual aspect of the Great Father of all life, pours itself into our world, so it can be spread to those who are ready and waiting to receive it. Gradually ever more souls learn to tune their inner receiver into the frequency of the Highest consciousness, so that they too can receive and transmit any incoming fresh knowledge directly. This continues until in due course, the services of those who are presently acting as channels for others will no longer be required. They are then set free to move on to different tasks and learning. I have to admit that the first few times this joining together of ideas in my writings with articles in Stella Polaris took place, I found it a bit eerie and unsettling. To this day, I enjoy including here and there a section or quote from one of White Eagle’s teachings that is of relevance to my own findings. I do so in the hope that they will shed some more light on the topic under discussion, not merely to confirm and enhance what is already there. I love White Eagle’s teachings. 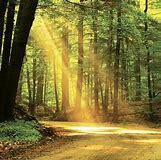 Inserting the odd one here and there into my writings, to me, is an appropriate way of honouring and showing my reverence, whilst saying ‘Thank you!’ for the gentle and loving wisdom that comes to us from the Highest levels of life through the brotherhood of the light. White Eagle is its voice. Through the inner connection with the Source of our being in the fullness of time every one of us will gain access to all Its wisdom and knowledge. The Age of Aquarius is the age of truth during which it will increasingly flow into us and our world. That’s why it is becoming of ever greater importance that we should be able to distinguish between right and wrong, a truth and a lie. How shall we go about it? Any kind of information and especially of a spiritual nature causes within us a reaction from the world of our feelings that tells us what we are hearing or reading is either in keeping with the Source’s knowledge or it is not. It’s an action of our own built-in lie detector, which every human soul possesses, at least potentially. Once the inner connection with our Highest or God Self has been re-established, constant practice helps this aspect of our nature to grow ever more powerful. Eventually, it gets so strong that, at all times and in all situations, this resonance from the depths of our own being tells us quite reliably whether something is right or wrong, true or false. The wise one within is the only truly reliable and trustworthy teacher and guru of every human being and this is It’s way of teaching us the art of discernment. This aspect of our being belongs to the highest levels of life and is part of the Christ, it is the Christ. And that’s the constant companion who has always guided and protected us and forever will continue to do so, on the earthly plane of life just as much as anywhere else in the whole of Creation, where future adventures may be taking us. It is our Highest or God Self who knows us, its earthly counterpart, better than we shall ever do. This part of our being is familiar with all our needs, including the spiritual ones. It’s the filter through which all knowledge from the Angels of the Christ circle passes. The wise one within decides how much of God’s sacred truth we are capable of digesting at any given stage time. It knows when we are ready to find out more. And that’s how it comes about that at some stage we may be completely satisfied with believing that Jesus Christ is a historical figure, who once really did walk the Earth. The revelation that the story of Jesus’ life is but a legend only comes our way when we have grown sufficiently in understanding and are mature enough to cope with it. We are then ready to find out that the Master always has been a symbol for the archetypal God man, the Christ part of our own being, who from the moment of our creation has been waiting to come alive in our heart. This explains the necessity for updating and upgrading the spiritual knowledge that is available in our world from time to time. New religions and belief systems then emerge that are intended to move us, individually and collectively, another step forwards on the evolutionary pathway that eventually returns every human soul into the full conscious awareness of their oneness with God. And that’s how what once was considered to be the truth, in the light of humankind’s better comprehension of such things becomes not an untruth or a lie, but merely an outdated belief. Discarding an old one about us, our world, our place and role in it, takes a long time. Initially there is great resistance against it, but gradually the new revelations sink ever deeper into the consciousness of our world. For each one of us there eventually comes the moment when we can see for ourselves that every false belief we let go of takes us back home into the knowledge of our true nature. This is a process of deep inner soul healing for each one of us individually and also our world. One of the laws of Creation is that new things can only be born when something old has outlived its usefulness and is therefore ready to die and be destroyed. Yet, nothing in the whole of Creation is ever wasted. For example, the cells and atoms of physical matter rearrange themselves and are transformed by the Highest into different lifeforms. Something similar happens to ideas and principles. They too have to be allowed sufficient time and space to die a natural death, so they can be shed when their time for it has come. As time goes by, they transform themselves into new and more helpful ways of thinking and believing and perceiving things. In particular this applies to many of our world’s current viewpoints that to this day are based on nothing more than superstitions and false beliefs. Never forget that thinking is the most powerful force in the whole of the Universe and that what we think, we shall in due course become. As we know by now, nature abhors a vacuum. And if we think that with every small bit of empty space that is created in our individual and collective consciousness each time someone lets go of another one of their false beliefs, it instantly fills with the healing energy of the Divine, then that is what happens. This also applies to our whole race. After all, we have been placed in this life to bring forth from within ourselves the finest characteristics of our Divine parents, which at least in seed form are also ours. The growth of understanding of God’s nature and our own is accompanied by a natural outflow of consideration, forgiveness and compassion for our own and everybody else’s suffering, as well as that of our whole world. Forgiveness slowly becomes as natural a part of our being as breathing in and out. It develops into a good habit and represents a steady and natural outpouring from our innermost heart and soul towards all life. When we are healing, our whole world heals with us. And with every single human soul undergoing this development, our whole race individually and collectively moves on to a somewhat higher evolutionary levels. Forgiveness is the beginning of all healing processes. Continuing to forgive keeps them going, until the wounds of all lifetimes have been healed. Any resentment and hatred that may still be stored in the soul memories of other lifetimes, begins to dissolve as soon as the human heart and soul grasps that certain things in us and our world were and are, to this day, inevitable as part of our individual and collective lessons – past and present – in the great school of life. As even our most ancient recollections have to undergo this cleansing procedure, it may take many years to complete. If it does for you, as it is doing for me, take heart for it contains the precious gift of gradually coming to terms with everything that ever took place in us and our world. In this way, our own soul and that of our world find rest, peace and healing. No-one can do this clearing out for us. Every soul has to work its own way through it. 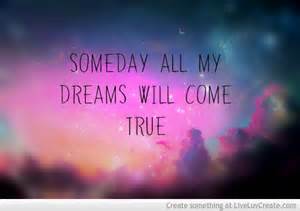 Destiny is not some airy-fairy notion that is going to happen in a future place far away somewhere. It is with us always and in the final analysis consists of all God’s human children of the Earth eventually bringing forth – from within the very core of their own being – God’s highest qualities. Our world can only become a better and more peaceful place when gradually ever more of us endeavour to do so. Merely thinking about these characteristics is no longer good enough! That would be like going to church on Sundays, listening to an inspired and uplifted sermon about loving our neighbours because we are all siblings in the great family of life, then going home to continue to gossip about and backstab our fellow citizens the way we always have done. The development of the highest aspects of our nature demands from every human soul that we constantly endeavour to give the best we are capable of. In the world of appearances all manner of things can be faked. Spiritually, however, whatever we undertake has to be for real. We prove that we mean business by striving to be the kindest and most loving person we can possibly be, not only now and again when the right mood overcomes us, but at all times. The seriousness of our intentions needs to reveal itself in every one of our contacts and encounters with everything that is in our world and all worlds. And it seems to me that our inner world is the one that is most in need of some extra loving care and attention. The time will come in our world when our race will once again walk hand in hand with God and Angels, the way we did in previous ages. First of all this requires learning to trust them completely and utterly, knowing that they will guide and protect us, no matter where our destiny may eventually be required to take us. We need to know that we shall always be safe, irrespective of what may happen to us and our world, and wherever we may find ourselves. 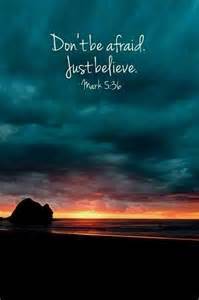 I am well aware that this is a faith that is extremely hard to acquire. You might like to read my suggestions on how to go about it in my ‘Reflections On Faith’. Learning to trust is the most essential part of the healing process. It is the sacred marriage between the Divine and humankind which for quite some time has been increasingly taking place in our world. It will continue until every human soul has regained the faith it had when it was first released from God and started on its long evolutionary journey of developing into individual beings, each soul in its own right. All together, hand in hand with God and the Angels, we are constructing the long promised New Jerusalem, not as a place on the physical plane of life but an inner reality. The waking up and coming fully alive of the Divine spark of the Christ spirit in every human heart, which for evolutionary purposes had to remain dormant for such a very long time, is the homecoming of the prodigal son of God. The spark is activated by the Divine love that descends from the highest levels of life and the response it receives from those dwelling on the Earth plane. The spirit of the Aquarian Age is one of love, friendship and kinship with all life and we have every reason to celebrate, as this spirit is gradually coming alive in ever more human beings. Many by now are sensing its calling, receiving its vibrations and are acting them out in every one of their daily encounters. Each through their own efforts, that’s how the Universe places the power into everybody’s own hands to act as a channel through which the healing energies can flow straight from Great Father/Mother of all life and their own born Son/Daughter, the spirit of the Universal Christ, into everything that dwells on the Earth plane, our other world and all other levels of existence. Ultimately, it reaches into the farthest and remotest corners of Creation and blesses and heals all life. The six-pointed Star is one of the oldest known symbols of Earth life. It was given to the members of the White Eagle Lodge by its guides in the world of light, to be used as a visual aid and a focal point during their work with the Healing Angels. The six-pointed star is the symbol for the blessing, healing and harmonising energy of the Highest Star, the brightest light and the greatest love. It is waiting to be invited by all children of the Earth, so that each one in their own right can develop into one of Its channels for the blessing and healing, saving and redemption of all that is. Another one of the most ancient symbols known to humankind is the cross. It represents life in physicality and is used in numerous historical, religious and cultural contexts, for example in Judaism, Hinduism, Occultism and Islam. Esoterically, the six-pointed star stands for the perfected, the Christed human being, the ultimate aim and final destiny of all human souls. In the process of overcoming the drives and urges of its lower earthly nature, resolving its conflicts and issues, and redeeming the Karma that has been incurred in our long evolutionary pathway, the human spirit and soul blends, harmonises and heals together with its Highest or God Self. When the two finally have been completely united, the soul becomes capable of acting as a star of light on the Earth plane in its own right that acts as a conduit for God’s wisdom, love and healing for all life. The final destiny of all human souls is to evolve into such a Christ Star, each in its own right, yet without losing our individuality. To the small earthly self the fear of giving up its identity is even greater than the one of death. As a matter of fact that is the very reason why this part of us is so terrified of death. None of us will ever lose their individuality. Even when in the end we fully merge with God again we shall not lose our identities and uniqueness. After all, that is what the whole process of individuation has been about. This means that when you and I have reached a sufficiently high level of consciousness to be one again with God, you will still be you and I shall continue to be me. The harmonising and balancing act of the healing process is the blending of the upper and lower, the Divine and the human aspects of life. The two triangles represent the trinity that pervades all life and all lifeforms. The downward pointing triangle stands for the Trinity of the Great Father/Mother of all life and their only born Son, the Great Light, who is the spiritual Sun behind and beyond our Sun in the sky above us. The downward pointing upper triangle penetrates and merges with the upward aspiring triangle of the human mind, body, spirit and soul. The spirit, ever since leaving the safety of its fully conscious awareness of being one with its Creator, has restlessly been seeking the return into this state. Our heavenwards striving thoughts, words and actions during each one of our earthly sojourns assist the sacred fire of the Heavens in merging ever more, individually and collectively, with that of the Earth. The Earth shelters and nurtures humankind, in return we contribute to the planet’s evolution. As pointed out in ‘Healers And Healing’, we always were and still are consciousness, in spite of the fact that at times we are temporarily encased in matter. The innermost core of our being, like God is spirit. It has been and always will be one with and part of God. When our spirit and soul are to enter into another material existence, the spirit has to create itself another vehicle, a physical body. A mother and father substitute for our true parents have to be found, a woman and a man, through whom another earthly form can be created, so that – in due course – a new physical body will be born, which in the fullness of time will pass away again. Although our outer physical body is finite, we wear other bodies made of finer substances underneath. All human consciousness is constantly in search of experiences that assist the growth and expansion of our race. The human spirit and soul evolves in matter, which is part of and belongs to the Earth. Whenever one of us progresses, the whole Earth does the same. Each cell of every physical body is imbued with consciousness and when it finally returns to the Earth, it helps the planet itself in its evolution. Nothing in the whole of Creation is ever wasted, including all thoughts and experiences. All the time everything is recycled, used over and over again, constantly being transmuted into ever higher thought- and lifeforms. The deeper we were required to descend into matter to explore the physical life, the more the process of individualisation advanced, the less was left of our conscious awareness of our roots, until it had just about disappeared altogether. But, all is by no means lost, because as soon as each individual soul reaches a sufficiently high evolutionary level, the Highest Self begins to draw it upwards into its loving embrace again. The Divine spark of the sacred fire in every heart, through its love of and dedication to the Great Father/Mother and the life that has been given to us, slowly develops into an ever stronger flame that slowly but surely burns away the desires of the small earthly self. This cleansing process continues until the spirit is re-united with its Source. By its own volition, each tiny spark in time has to transform itself into a blazing flame of love that knows how to love wisely and behave in keeping with God’s will and universal laws, like the law of Karma. This is not as scary as it sounds because the helping hand of the Highest Self is ready and waiting to be called upon. The more the soul brings forth its best qualities from within and shares its love with everything that exists on the Earth plane, the more godlike it becomes, the more powerful the flame in its heart grows and it is drawn into and reunited with its God Self. This continues until the two have fully merged into one. My interpretation of the Sun in Sagittarius of interest here. If your reaction to the word astrology is one of ‘Ah, horoscopes! Fortunetelling!’, you are wasting your time here. But should you be looking for a safe and reliable instrument for getting to know yourself and others more intimately, please read on. Like life in the whole of Creation, everything to do with astrology consists of cycles within cycles and wheels within wheels and is basically very simple, like all truly great ideas. One of the finest gifts the Universe can bestow us is simplicity. For my liking that is the best quality anyone can possess and if you, like me, love to keep things as uncomplicated as possible, then the Divine science could be just the thing for you. One of humankind’s main troubles is that in our role as earthlings we frequently see complications when in truth there aren’t any. If need be, we invent some where there weren’t any before. Astrology is no exception. Yet, basically everything about it is very straight forward. The only thing one has to do for studying it is starting in one small corner, the same as in any other field of learning. It’s unwise to stand before an immense topic like astrology and gaze upon it admiringly, thinking: ‘I could never get to grips with that!’ Refuse to give in to feelings of that nature. Start with lesson one, the way I once did. Astrology is an intuitive art and if you persevere, it will not take long until you begin to notice how your inner guidance provides you with fresh insights into the theme before you to assist you with your studies. As your understanding of human nature and life increases, your consciousness opens up and expands. In case you enjoy finding out new things and learning as much as I do, there could be no finer field of endeavour for you. If you keep on learning about astrology until the end of your earthly days, I guarantee that you will never stop discovering something new and surprising about it. You don’t have to take my word for it. Stick your toes into the water and see for yourself. To get you going, how about becoming your own astrologer in D.I.Y. fashion? If that sounds interesting, please follow the link at the end of this chapter. You might like to first delve into the interpretations of your own Sun sign and then the ones of the people around you. See for yourself how revealing each one of my analyses is and how it can give you valuable pointers about everyone’s predestined pathway for their present lifetime. If you have sufficient time and study my interpretations of all the Sun signs, you will notice that each one of them contains a great deal that is valid for everybody. As you move through them, try to apply that which you are gleaning first to yourself and then to those around you. You will be amazed about your discoveries. Most of all, never forget to have fun. That, my dear friend, is as important a part as any on the healing journey of a thousand miles of our present lifetime. Study the Sun signs and discover for yourself how the stars can and do show the way of moving from being a less evolved soul, i.e. an unaware one, into a wise one and a healer, someone who has woken up to their true identity. You are sure to succeed, if you keep on with your efforts at avoiding to act out the negative qualities of your Sun sign and instead endeavour to bring forth and develop its higher and highest manifestations. Should you still be functioning more on the negative than on the positive aspects of your Sun sign, take heart. Everybody initially automatically and unconsciously tends to act out the lower characteristics of their Sun sign, without even knowing that this is what we are doing. It is true that, for as long as we are unaware of how the energies of the stars influence all life on the Earth including us, we are what is commonly known as being ‘ruled by the stars’. It is not only possible but necessary to move away from this. Awareness, as ever, is the key for unlocking the door of this predicament. Becoming familiar with the negative and positive aspects of our Sun sign enables us to take charge and start making an effort at changing our character through bringing forth the positive higher qualities of our planetary signs. This is how every one of us can beneficially steer the course of their destiny. Life does not work like the nursery rhyme ‘Where are you going, my pretty maid?’ when she replies: ‘My face is my fortune, Sir.’ The look of our face makes no difference to anything, but our character really is our fortune. It alone can influence the flow of our future the way we wish it to run. And whenever we counteract our negative tendencies we empower ourselves and become wise ones, who are no longer ‘ruled by their stars’ and never will be again. I believe that most of our behaviour patterns were not developed in the course of our present lifetime. The majority of them we brought with us from previous ones and that particularly applies to the deeply ingrained ones that can be highly reluctant to change. When in doubt about anything, turn to your inner teacher, the wise one or living God within, to show you ways of building up your strengths some more and how you can turn your weaknesses into strengths. That indeed is how they are meant to be dealt with. You are not likely to instantly recognise any changes in yourself. Don’t let this discourage you. With the passing of time, you will be able to observe how you are approaching life and those around you in a more positive and constructive manner. Through this change in your energies, they are likely to change their behaviour towards you. Everything in the whole of Creation is made by and of God, the Great Father/Mother of all life and the light of their only born Son/Daughter, the Universal Christ. 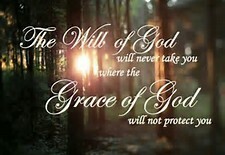 It is there and exists only by the will and grace of God. Each one of us is a spark of the Divine and a child of God, all His/Her qualities and powers are also in us. We are true chips off the old block – if that isn’t too disrespectful an expression here. As above, so below. Darkness and light, positive and negative, masculine and feminine, the higher and lower aspects of life, are all in God and therefore also in us. Although on the surface of life some people seem to be all good or bad, do not allow appearances to deceive you – everybody has everything within. The Earth is but one of our many training grounds and by the will of God all of us are have to take part in every one of the experiences the grand panorama of life has to offer along everyone’s personal evolutionary pathway. Our earthly existence is how the Angels, who are in charge of the development of us and our word, are teaching us the necessary discernment we need to differentiate between the opposing forces of the whole of Creation and therefore also in us, i.e. 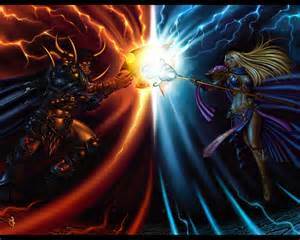 good and evil, right and wrong, truth and lies, and so forth. These concepts have always been ruled by God’s will and power, and our task as young Gods in the making is to learn how to control and master the various aspects of our nature. Our earthly education is complete when we have gained a thorough grasp of all its subjects. Humankind’s individual and collective evolutionary journey requires that every one of us, without exception, first has to experience the lowest levels of human existence. This means that at a certain stage of our development all of us once had to walk a pathway that took us down to experience the utterly evil aspects of human nature, including ours. When these lessons have been imbibed sufficiently, to create the necessary balance we slowly but surely begin to move forwards and upwards until all we are bringing forth from within is that which is completely good. Yet, no matter how dark and gruesome anyone’s lessons may turn out to be, there isn’t one from which the grace of God will not eventually release us and help us to find our way into the conscious awareness of our Christ nature, our true nature which is nothing but love. The story of the resurrection of the Jesus myth describes this process. The lifepath of people like Gandhi and Hitler is typical of the juxtaposition of good and evil. Isn’t it reassuring to know that the most recent lifetime of each of these two souls – the same as everybody else’s – has only been one of many? There is no doubt in my mind that both men, each in their own way, will be offered as many opportunities as they require for the redemption of the Karma they created in their most recent lifetime known to us. To shoulder the responsibility for that kind of Karma is surely a sign that these two men were old and experienced souls, each in his own way. Having reached the Age of Aquarius, the Universe is presenting our world with the gift of a renewed understanding of the concepts of the spiritual realities that are at work behind all life on our planet and elsewhere. This enables wise ones to get the proper perspective on everything that ever happened and still does on this plane of life. They refuse to sit in judgement over anyone, for the simple reason that there is no way of knowing a person’s Karma, the life lessons they have come to take part in and the special missions that are waiting to be fulfilled by them. Aware that all of us are like actors who, before coming into our present lifetime, have promised to take on a role and to play it to the best of our ability, wise ones accept that nothing exists outside the will of God. Therefore, even the most abominable dictators our world has ever seen, for example Genghis Khan, Hitler and Sadam Hussein, just as much as their polar opposites, say Gandhi or Mother Theresa, could only appear with the help and will of the Highest. The evil as well as the good they brought into our world undoubtedly were necessary to create the balance that is always required. Through this balancing act, which is constantly taking place in our world, we and our world are taught all our lessons. Knowing that everything in our world always serves a wise and higher purposes, which we may not yet be able to recognise, drives home the importance of learning to go with the flow and accepting that ‘Thy will be done, not mine.’ When people have spent a lifetime experiencing being evil to the core, like the above named dictators, balance has been created and a great many spiritual debts paid in full. As we once more become aware of the purpose and meaning of our existence, it is highly likely that worst sinners will ask to spend their next earthly sojourn in a saintly fashion, like Mother Theresa or Gandhi. If it takes a thousand lifetimes of this kind of being a good person, even as monstrous debts as those of Genghis Khan, Hitler and Sadam Hussein will eventually have been paid. And there is just one way of restoring the balance of our spiritual bankbook of life and that is each through their own efforts. Nothing in the whole of Creation has ever been beyond the reach of God’s will and power. This is especially the case when the human spirit first descends into earthly life. The lower self is put fully in charge of its thoughts, words and actions and with their help has to start building itself a soul. As the drives and urges of our animal nature take over, our pathway takes us ever deeper into experiencing the lower and lowest aspects of our own being and of others. But, when the time is right, the Divine spark in our heart begins to stir from its slumber, our Highest or God Self increases its efforts of getting through to us. In the course of many lifetimes our Christ nature gradually grows stronger. When it has taken over our whole being, the grace of God Him/Herself, from the very core of our own being, shows us how to walk hand in hand with the Angels, moving ever upwards and onwards to experience the higher and eventually highest levels of life. For as long as our perception is still glued to the belief that the frequently sad and traumatic realities of our earthly existence is all there is to life, God’s truth and with it the greater picture will remain hidden to us. This also applies to the limited horizons of our world’s religions. 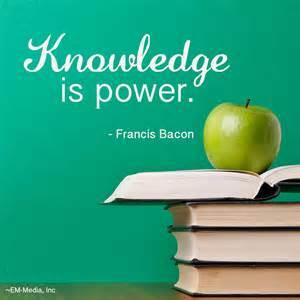 ‘Knowledge is power,’ Francis Bacon wrote. How right he was! The spiritual wisdom that for some time has been flowing ever more powerfully into the consciousness of our world gives is given to provide each one of us with the power to set ourselves spiritually free. This remains impossible for as long as we consider that life is a one-off thing. The knowledge we are finding is meant to act as our liberator from the chains and shackles of the false beliefs and perceptions of the past. It can only do this when our awareness grows that life is a never ending circle, and that each one of us is walking on an evolutionary spiral that constantly winds itself forwards and upwards into the realisation of God’s true nature and our own. When we realise that we are children of God, that the essence of our being is eternal and immortal and that in truth there is no death, merely transformations into different lifestates, we are beginning to fly on the wings of God’s eternal wisdom and truth. These wings enable us to rise above the concerns of Earth life. The greater picture starts to reveal itself to us with increasing clarity and we recognise the beauty and wonder of God’s great plan of life, in which all of us have their allocated place and role to play. Our grasp of the significance of myths and legends, for example the one of Arachne, the sacred spider of Greek mythology, increases. She is said to have been weaving the marvellous web of life since long before our race first appeared on the Earth and that she will forever continue to construct it in all its majesty and splendour. The knowledge that is now coming our way ever more strongly is intended to be used for setting ourselves free from the religious slavery of the past. It can do this for anybody whose energies are right for waking up from their spiritual slumber. When we have once more become aware of our true nature, we no longer feel the need to look through a magnifying glass for the flaws in their earthly personalities, not even for people like Ghandi and Hitler. This is because we now appreciate that considering anyone’s character and behaviour for one single lifetime cannot get us anywhere in our search for the signs of their Christ nature. We no longer judge anyone because there is no way of knowing their Karma and why the plan for their life in the great book was designed the way it is for this time round. To grasp the purpose and meaning of someone’s pathway through life, it is necessary to bear in mind what kind of lessons someone may have had to cope with in past lives that led to the learning of their present lifetime. If we wish to ponder on what the future could be holding in store for them, we need to peer beyond the ends of our noses. That is also what has to be done each time we try to foresee the possible destiny of our race and our whole world, and the role each one of us may be required to play eventually. Considering the whole of someone’s evolutionary pathway, as well as that of our race and world as a whole, not merely over one single lifetime but countless ones, enables us to find the kind of forgiveness that flows quite naturally from our heart and soul, and that for ourselves and each other that is required from each one of us at the end of our earthly education. But for as long as our inner perception is closed to the higher realities of the spiritual background of life, forgiving in this manner is impossible. With the awakening of our higher nature comes the realisation that pardoning someone for their misdeeds does not mean condoning what they did. With the awakening of our Christ nature, feelings like love and compassion, tolerance and forgiveness towards all lifeforms come alive in us and we discover that love really does understand all and therefore forgives everything. Whenever we hear or read about humankind’s suffering anywhere in our world, forgiveness for the perpetrators flows quite naturally from our being and we think to ourselves: ‘Forgive them, Great Father/Mother of all life, for they know not what they are doing to themselves. From our own experiences we learn why the Jesus legend talks about the Master weeping because of his love of humankind. It also happens to us on our road to mastering the earthly plane, as our vibrations become higher and our sensitivity to other people’s feelings increases. From time to time being moved to tears when we witness the suffering and misery human beings to this day are creating for each other is part of the road to Mastership. On such occasions something may stir within to remind us that in previous lifetimes we too did the things they are doing now and we feel an increasing urge to do something to alleviate humankind’s struggle and do as much as we can to bring about its natural end. Whenever you are feeling this way, don’t overdo things in your eagerness to help. Quietly speak your truth, sow the seeds that are at your disposal, then step back and trust God and the Angels to do the rest. Those who are ready for what you have to give will understand. The others will follow suit when their time for it has come. Symbols and metaphors are the language of the spirit. From the earliest beginnings of humankind’s existence on the Earth, the highest levels of life have been using them to convey its ideas, thoughts and truths to us. At the start of our earthly education we are still unable to recognise them for what they truly are and understand their meaning. But as we progress on the evolutionary pathway, the gift of interpreting these signals gradually comes to us. From within our own being it unfolds our spiritual perception and vision and provides us with ever clearer vision and clairvoyance. True clairvoyance is the comprehension of the esoteric meaning of symbols and of the truth that can be found behind all aspects of earthly life. It has been said that the Will of God is known within. What a long time it seems to have taken for humankind to realise that this is an indication that the will of God is known to us because God is as much part of us as we are of God. Saying that this is easily done, but where is God? From the first moment of a human being’s appearance on the Earth plane a spark of the Divine dwells in its heart, although at first only in seed form. Each one of us, without exception, is the Great Father/Mother’s child of the Earth and a young God in the making. One cannot help marvelling at what a long way our race must have come on its evolutionary pathway. How truly blessed we are to be among the awakened ones at this very special time! 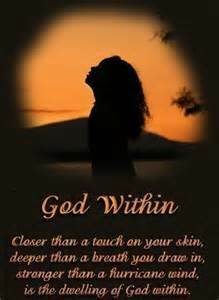 And it’s good to know that our intuition = the inner teacher and guide, is the living God within. Its task it is to keep us safe by steering us through the rapids of our earthly existence with the help of Its wisdom. With the passing of time we learn to rely on this guidance. We ever more willingly follow its advice, which rises through the world of our feelings from the innermost core of our being into our conscious awareness. Knowing that God is no outside force but an integral part of our own nature, there no longer is the need for anyone to run around endlessly and in decreasing circles, like chickens with their heads chopped off, ostentatiously ‘doing good’. The more highly evolved, spiritually open and aware we become and bring forth our true Christ nature, the more powerfully a deep inner desire simply to be a good person can be felt. The recognition that every life, including ours, has a special meaning and fulfils a higher purpose, makes us kinder and more loving, respectful, tolerant and considerate towards the needs of those around us, whilst not overlooking our own. Being aware that everybody has everything within, the very worst as well as the best, makes it easy to look for and find the good in all people and situations. And whenever the need for it arises, we freely and willingly choose the way less travelled and ignore the easy options, for the simple reason that our inner guru tells us that this route is the right one for us. Appreciating that God’s Kingdom can only establish itself on the Earth plane when ever more of us do their share of making our planet a better place for all its inhabitants, we roll up our sleeves – metaphorically speaking – and get to work. This starts with bringing our own inner house in order and sweeping in front of our own door. Any contribution, no matter how small, does make a difference. In due course our joint efforts will take all of God’s children of the Earth back into the conscious awareness of their true nature and the duties and responsibilities that are involved. The inner teacher is the only authority in the whole of Creation that can show us what is good and right, beautiful and true for us at any given moment. With the passing of time we learn to trust it and gladly pay attention to what it has to say. Supported by our inner guidance we unflinchingly take positive actions that are based on our natural inclinations and follow not only our own highest dreams, ideals and inspirations, but those of the whole of humankind. This is our personal guru’s way of showing us how to fulfil our highest potential. In this way eventually every human being’s Highest or God Self will assist its earthly counterpart to manifest its the characteristics of their Christ nature in earthly life. That’s the only way Christ will ever be born in Bethlehem. 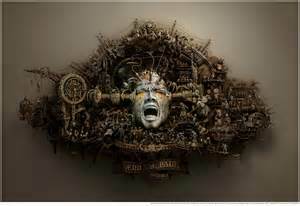 The town represents a symbolism for the collective heart and soul of all humankind and every individual one within it. Each time another human being makes their Christ nature a reality in Earth life, one more of is doing their share of bringing God’s kingdom down the Earth and assists our race’s homecoming into the oneness with God and all life. Every conscious effort one of us makes at being good, not out of fear of retribution or hoping for some kind of recompense, but simply because we feel an urgent need to express our higher nature in all our endeavours. On the inner level all life is one and even the smallest effort of expressing our Christ nature is worthwhile, because everything that is done for one is done for all. Therefore, when we are healing all life is recovering with us. And each time one of us progresses on their evolutionary homeward bound journey, our whole race and even our planet and everything it holds in its loving embrace moves forwards and upwards with us. 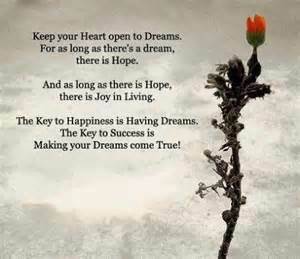 The Universe’s hopes, dreams and aims in truth are our own. The realisation of this in the end encourages the small and frightened earthly self to gradually surrender every last shred of its selfishness and fears, as it merges ever more with its Highest Self, the Christ Spirit. Each time this happens for one more of us, the story of the resurrection is coming true. It can take a long time, sometimes decades, for the lower self to die on the cross, the oldest symbol of our earthly existence, until the Christ Self can finally take over its whole being. Its Spirit then rises from being incarcerated and entombed in the atoms of another human physical body. As its cells increasingly fill with the Christ light, they are restored and regenerated to normal healthy functioning. This is how the ancient prophecy that a being would appear in our world, to heal everybody’s wounds, make good our sins and save us all, at last comes true and is fulfilled. The Age of Aquarius is going to bring us ever more of the revelations of God’s truth. From the evidence it has already provided us with it is clear to see that the long promised healer, saviour and redeemer is the Christ Spirit in every human heart and the heart and soul of our whole world. It could never have been a man by the name of Jesus, a Christed one, half God and half human, just the same as we are. What is so terrible about accepting that the Jesus story is a legend, when something much more beautiful and profound, kind and loving, simple and realistic – as well as yes, down to Earth –, is on offer in exchange for the weltering in the gore of the Jesus tale? To appeal to the public and capture people’s imagination, it was painted on a vast canvas in the style of the great classical tragedy tradition of Greek antiquity. 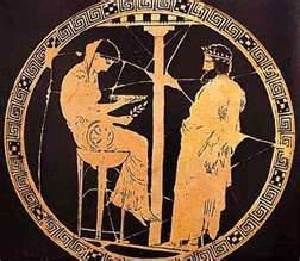 This is not surprising because the writers were Jewish people who were steeped in the Greek culture. 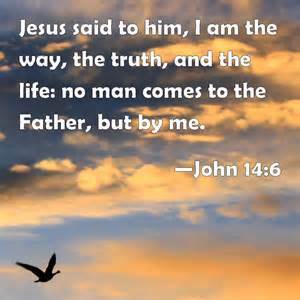 You don’t have to take my word for it that God’s truth really is hidden behind the words of the Gospels. I recommend the reading of ‘The Jesus Mysteries’, in this context especially pages 229-231. See the link at the end of this paragraph. Ask the wise one within you whether any of what is written there as well as in my jottings is true and right for you, and pay careful attention to its response. If you, my dear reader, are one of the Doubting Thomases ‘out there’, I have a few questions for you: ‘Are you seriously interested in finding God’s truth? Do you wish that our world should become a more peaceful and enjoyable place for all, where the people of all nations live together in peace and harmony, where exploitation, greed and over-consumption, violence and crime are no longer known? If you do want these things to happen, welcome to the club of the believers that with the help and the will of God and the Angels anything can be done. The only condition for joining our fellowship is the love in your heart for all of humankind, our world and its Creator and the Angels, who bring us into being and take us out of it, and between these two states of existence take good care of us and try to make our earthly existence bearable. And if you would like a confirmation that what I am telling you here and in any other part of my writings is true, again consult with your inner teacher, the living God within, the Christ Spirit. This is the only guru in the whole of Creation who knows the answer to all our questions and doesn’t charge anything for its services. From ‘The Milk Is White’ comes the following warning: ‘It is important to be aware that there are many souls incarnate who are misguided, because they have not yet overcome their selfish desires and present themselves to us as Gurus and Masters and seek our allegiance and all that entails. Others have the spiritual knowledge but because they do not live that knowledge mislead themselves into using it for selfish purposes. Hence independent thought is very important. ‘By their actions you may judge them’ and ‘Beware the priest who is also a businessman’ is wise counsel to keep in mind. The Christ Spirit told us through the Jesus legend: ‘No-one comes to the Father, except through me!’ To my mind, the message these words all along have been trying to convey is: ‘The only way of becoming one again with the Father is by endeavouring to be ever more like Me and the way I once revealed to you through the Jesus mystery and to this day am showing you still. You can only return to your true home and into being one again with your eternal and real Father/Mother through bringing forth from within you every bit of goodness and wholesomeness that is within you. This alone in the fullness of time can bring each one of you back to Me. 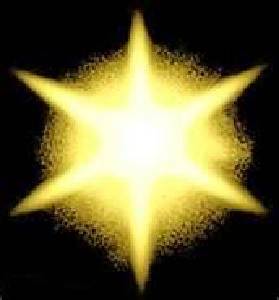 I am the spiritual light of the Sun behind the Sun, the only born Son/Daughter of the Great Father/Mother. My spirit is all love, truth, honesty and integrity and the same qualities are slumbering inside you. I am part of you and you are part of Me. I am your eternal Self or God Self. We belong to each other and you can only grow into being fully and consciously one again with Me with the help of My protection and guidance that constantly rises through the world of your feelings into your conscious awareness. I always have been the small still voice of your conscience, your inner teacher and guru. Only by following Me and My inner calling can any one of you return into the state of being all good and God-like like Me, your Creator and God. Believing in Jesus or any other spiritual leader, no matter how high-minded they may be or once have been, if indeed they ever walked with us on the Earth plane, was enough in the distant past. It certainly still was when the Jesus legend came into being. By now, however, we have reached a sufficiently high evolutionary peak of spiritual maturity that the Universe demands a great deal more from all its human children of the Earth. The past undoubtedly taught us many invaluable and necessary lessons, for example how to discern between good and evil, especially the malevolence that so often was brought about in the guise of religions and in the name of God. That particular pathway is not meant to be pursued by humankind forever. More is required and expected from us, much more. But before any worthwhile changes can take place in us and our world, each individual has to work their own way through a change of consciousness. A better grasp of the purpose and meaning of Earth life modifies one’s outlook on life and one’s inner attitudes as a result transform themselves into different and better thinking and behaviour patterns than those of the past. The realisation that we are part of God and that God is part of us and that our true nature is love brings with it almost automatically a striving to improve our character. It’s not hard to perceive then why and how our character influences the course of our destiny and that of our whole world – though not its final outcome, the reunion with God. This is the same for all human souls, independent of how long it may take. At this stage of our spiritual development it is easy to see that whatever we do in our present existence is important and how every small effort one of us makes towards trying to make our world a better place for someone is most valuable and does count on the spiritual ledger of life. The following is the essence of three teachings from the White Eagle group of spirit guides from ‘There shall be Light!’ Stella Polaris Vol. 46:5: ‘The seeds of the siblinghood with all life that knows nothing but love is in every one of you. Do not look on the outer level of life for love but within and become more loving yourself. You are a dynamic being who can only attract that which you are yourself. The world around you is a mirror of what is happening within. 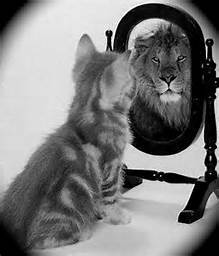 So, whenever you want to change something in your world, first take a deep and utterly honest look into the mirror of the self. Each one of you has to do this for themselves because you can only recognise yourself by your reflection. 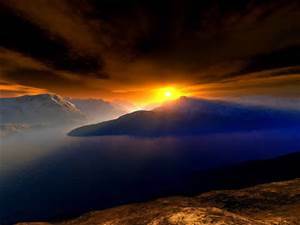 The ultimate aim of every human being’s earthly education has always been to evolve into a seeker of God’s Light, i.e. the wisdom and truth of the Divine. Through this we gradually grow into healers, lightbringers and wise ones who are their our own saviours and redeemers. And because on the inner level of life everything is one and there is no separation between anything, what’s done for one is done for all. Therefore, each time one of us is saving and redeeming themselves, our whole world is being rescued from the brink of destruction and another tiny fraction of our race’s karmic debts has been paid and redeemed, earning us the title of a saviour and redeemer of our whole world. This means that the final phase of the earthly part of our spiritual expansion has been reached. Merging the higher and lower aspects of our nature is the healing journey all of us require at the end of this particular part of our evolutionary development. In the fullness of time this process reunites each one of us with God. And it is the birthright of all who are presently taking part in earthly life to go in search of the healing that is necessary for every aspect of our being. Through this our own latent healing energies are activated and rise to the surface of our consciousness. Sharing the learning that is found on our healing journey with those who are in need of it helps us to gradually fulfil the highest potential that can be reached in our present existence, and that is becoming a healer in our own right. The healing energies belong to our highest or Christ nature, which in all human beings has to wait a long time before it awakes from its slumbers. As the Christ qualities of love and wisdom, kindness and strength grow stronger in us, we increasingly feel a need to support and bring a renewal of hope and trust in the Highest in those around us. That is a sure indication that we are taking our first hesitant steps towards learning how to walk hand in hand with God and the Angels, the way we all once did. The reaction of the wise ones on the other side of the veil of consciousness that separates their world and ours may not be felt immediately, but you will surely do so in due course. Your own healing journey of a thousand miles has begun and in some mysterious way you will know intuitively how to proceed. No-one can tell whether a person has already been healed and is a healer in their own right or whether someone is still waiting to be shown to their own inner sanctuary to enable them to discover and release their inborn healing abilities. Until our energies are right, they remain latent in every human being. Healing can come to us in many forms, for example through the laying on of hands, absent or distant healing, as well as the written and/or spoken word. My own healing journey has taught me that it can only arrive through changing our perception of the aspects of life whose meaning we failed to grasp in the past. This is not something intellectual but an inner recognition that rises from the depths of our own heart and soul as we labour up the spiritual mountain on the pathway that in the end takes every human being back home into the recognition of its true nature. All of us carry within the wounds of our present lifetime and all those that came before. We were hurt emotionally, physically and spiritually on endless occasions. The memories of each one of them that has not been properly dealt with and released remain stored in the memories of our soul, until they can be attended to. At some stage of our development they manifest themselves as some kind of discomfort in our physical body. That’s our soul’s way of drawing attention to its requirements. These wounds slowly begin to close when we have found a renewed understanding of the purpose and meaning or our earthly existence. Each time we are operating from the safety of our inner sanctuary it helps us to come to make our peace with the experiences that formerly brought nothing but pain, fear and confusion into our lives. As a vital part of the healing process the old, in some cases ancient feelings have to be gone through once again, as without it no healing can take place. That’s why wise ones who want genuine and lasting healing, freely and willingly put their hands into those of God and the Angels and surrender their whole being to them. The nailing of Jesus to the cross is a symbolic description of this process. Wise ones appreciate that the healing journey is not for the faint-hearted because spiritually everything has to be for real, no faking is allowed and there are no shortcuts on the healer’s pathway. And so, they patiently endure whatever feelings rise from their subconscious, trusting their unseen friends to help them work their way through reliving the experiences of the past, so that the Universe’s healing energies are released and can flow into and through them without hindrance. When our superconscious faculties begin to open and unfold on the healer’s pathway, the spiritual aspects of life start to enter our field of vision and attract our attention. As a result, here and there we get wonderful moments of feeling that we understand the way of all things. Alas, it’s impossible to hold onto them because, all too quickly for our liking, our consciousness switches back to functioning through our earthly mind. Until it has been retrained by us by tuning it into the frequencies of the higher levels of life, it can only comprehend that which is connected with life in physicality. The gift of such moments of bliss are granted by the wise ones in charge of us to encourage us to keep on trying to unravel the mysteries and secrets of the spiritual background of life. A time to tear down and a time to build up. . . The Random Jottings Of A Stargazer and the Astro Files have always been my way of sharing the learning I am gathering along the pathway of seeking healing, first for myself and then our whole world. To this day my work is constantly growing, evolving and expanding. That will continue for a long as I am required on this side of the veil of consciousness that separates out two worlds, and am capable of writing and publishing the results of my search into the mysteries of life. One of the most essential parts of my initial explorations was finding out that it has been for wise higher reasons and a very special purpose that the Great White Spirit, Father/Mother of all life, brought you, me and everybody else into being. For all who are taking part in earthly life at any given time there has been a time for coming away from God. Having come a long way on the evolutionary road we are all travelling, ever more of us are presently reaching the time when we are required to make peace with ourselves and our Creator. In this process of reconciliation and reunion each one of us eventually has to first find healing for themselves and then extend this to our whole world. The second part of this experience is the subsequent sharing of the wisdom we have found on our healing journey with all those who are suffering the way we once did and therefore are in need of our help. Through this sharing of our learning we slowly but surely grow into healers and lightbringers, who can increasingly be used by the Highest Forces of life to act as channels and transmitter stations for the blessing and healing power of the Universal Christ, so it can flow ever more powerfully into our world and everything that shares it with us. At least potentially every human being carries these abilities within. As soon as they have developed sufficiently in us, the Christ’s healing energies can reach the farthest and remotest corners of Creation for all worlds and their beings to partake in. The worlds as well as their inhabitants are children of God and therefore our spiritual siblings and kin in the vast family of all life. As part of our race’s spiritual homecoming into its true loving nature, hand in hand with God and the Angels let’s now send blessings and healing to everything that is, on all levels of life, in a joyous celebration of the life that has so graciously been given to us all by the Highest. There is so much talk about the spiritual pathway these days that one cannot help wondering what people actually mean by this. This concept – in common with all truly great ones – is basically extremely simple. As the essence of our being is spirit and soul, whether someone is as yet consciously aware of this or not, everybody in truth is walking this way already. It’s the way home into the conscious awareness of our true being and our relationship with our Creator. Each one of us comes from spirit and is itself spirit and for every human soul there comes the moment of awakening when we realise that we are a great deal more than the physical and perishable bodies we live in. Irrespective of how high or low someone’s station in life presently may be, inside every one of us there dwells something very precious and that is a soul and a spirit. We are eternal beings of light, the children of God, the Great Light, and the core of our being is pure consciousness. 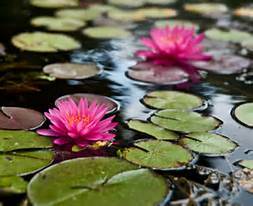 Every soul in the end re-awakens to this knowledge and has to undergo the purification process. There are no exceptions and because spiritually everything has to be done for real and there are no shortcuts, this has never been easy. Only a fool would pretend otherwise. The basic lesson we, as a race and our whole world, are presently taking part in is a simple one. Upon re-awakening to our true nature, we realise that the law of the Universe is love, that we come from love and that love is our real self and true reality. To this ever more of us are returning by conducting their lives in harmony with this and all other Universal laws. All life serves God and God serves all life. Each one of us has been granted the gift of another lifetime to enable us to add to the well-being of our race and our whole world, instead of merely looking after number one. This is essential and no matter how small our efforts may often appear to be in our own view, as long as they make a difference – if only a tiny one at times – to somebody somewhere, our contribution will be valid and count in the eyes of God. There is nothing new under the Sun, and actions always did speak louder than words. Much can be achieved in this way, maybe even whilst we are still working our way through our own healing process and may be quite ill. It is still possible to make a difference to those around us by being kind, loving and thankful to them, instead of grumpy and miserable. Some read large numbers of spiritual books and articles, attend workshop after workshop and course after course. They may spend a great deal of time and money without having the slightest inclination of ever putting their learning into practice in their daily lives. What these people may not realise is that they are on a head-trip that spiritually will get them nowhere. A special task is waiting to be fulfilled by each one of us, during this lifetime. Read more about this by following the link at the bottom of this chapter. The only way of finding out the nature of our assignment is by asking for the inner guidance of our Highest Self and willing responding to Its call. White Eagle tells us: ‘We shall not learn from others or from books, but find all knowledge within ourselves, for we are part of all that ever has been and all that ever shall be.’ This is because all the knowledge of all that ever was and that ever has been gathered by anyone is now stored in the memory bank of the Universe’s Soul, the Divine Mother. Through our inner connection with this aspect of the Divine Trinity every human soul will eventually be capable of tapping into this sacred fountainhead of wisdom. Our Highest Self is always waiting to help us find the answers to all the questions we may ever wish to ask and that which surfaces from there can be relied upon to be our truth, even though it may not be anyone else’s. Whilst reaching for ever more consciousness expanding experiences and searching for new horizons, if at the same time we conduct our lives in peaceful ways that are in harmony with the Universal laws, we are doing our share of creating a better world for all. If my own experiences are anything to go by, when one consciously steps onto the spiritual pathway the inner work appears to consist mostly of overcoming our fears. The chapter ‘Overcoming Our Fear Of The Unknown’ deals with this. For now may it suffice to say that each time one of us ventures forth into new spiritual adventures and sticks their toes into untried waters – in spite of being scared stiff – we and everything that is in our world are inexorably evolving and moving forwards and upwards. The only way of re-learning to fully trust the goodness of life and its Creator is by testing and trying things out for ourselves. Should you be struggling with the kind of faith this requires – as I still am – may the knowledge that you are not the only one who is doing so bring you a measure of comfort and sustenance. The only sure guide at this stage of our development is the light of the wise one within, our inner teacher. This is the voice of God, who communicates with us through the world of our feelings. And that is the only truly reliable guru in the whole of Creation, who really does know the answer to any question we may ever care to ask. And the more we reliably find out in this way about of God’s nature and our own and the purpose and meaning of our existence, as well as those who have always taken great care of us in the spirit world, the more our confidence in God’s plan * for us and our world and the goodness of life grows. May the descriptions we are receiving from our spirit guides about the beauty of their world and the freedom of no longer being responsible for the wellbeing of a physical body and hauling it around with us, show ever more of us that our fear of the unknown and especially of death are quite unjustified. Our fears, one by one, dissolve on their own with an ever deepening recognition that everything, including them, was given to us by the Creator's great wisdom and love, to teach us how to live and come to terms with our earthly existence. This improved comprehension of the processes of life in itself brings a measure of healing and peace to human souls and our world. Good advice is all right whenever it comes our way. Yet, even the best and well meant bit of it should ever be followed blindly. 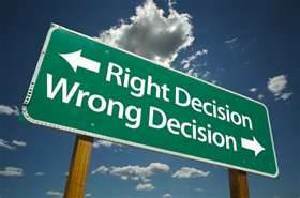 We are always the bottom line and we alone can decide what is right or wrong and works for us or does not. Getting rid of all our fears, learning to live without fear altogether, that’s the meaning of the prophetic words of St. John 10:10: ‘You will have life to the full!’ The evidence of the past two thousand years clearly shows that this cannot happen merely by believing in a legendary figure like Jesus and his mission. Each one of us is required to apply themselves to working on their earthly character and bringing forth the qualities of their higher or God nature and learning to love wisely, the way our Creator loves us. No-one is alone with this task. God and the Angels, as well as our Masters and guides are waiting to be called upon, so they can hold our hands and show us the way back home into the oneness with the those on the highest levels of life. The Jesus legend demonstrates how every human soul eventually needs to conduct their life as a spiritual Master in our own right and through this evolve into a Christed one in their own right. We are told that love is the great solvent against all fears. But what kind of love does this mean? It seems to me that for as long as one still fails to grasp what life on the Earth plane is truly about, human love is quite capable of creating more fears than it can ever hope to dissolve. That which in human terms is commonly defined as love is not really love at all. It’s nothing but a soppy emotion that creates possessiveness, clinging on and dependency, rather than setting the loved one free to make their own mistakes, so that they can learn from them and assisting them to fulfil their highest potential. All too frequently, human love is nothing short of emotional blackmail: ‘If you don’t love me, I won’t take care of you!’ is not love. If we love, we love anyway, whether our affections are being returned by another or not. Love in its true sense never ends or goes away, for example when someone has offended and hurt us, or when someone dies. Love endures all and makes an effort to understand why things are happening and what motivated the other one. Love is not only, as the song says: ‘a reason to be living’. It is the reason to be living and why we are here. Love is the fulfilment of God’s law on the Earth. Love has brought us into being. We come from love and we return to it. Love sustains and supports us here, in all our endeavours and undoubtedly it will continue to do so throughout eternity. In the course of many lifetimes we were first required to live with and explore the characteristics of our lower animal nature. Gathering its experiences removed us further and further from our true higher self. Each could only get to know life in physicality through their own impressions. Having reached the ascendancy of the same arc that once led us downwards, the time has come for reaching ever more for the blessing, healing and helping hand of our Highest Self, so it can teach us to love wisely, the way our Father/Mother Creator cares for Its Creation. This means living with respect, kindness and goodness towards everything that is part of our lives as well as ourselves. It is a caring for and giving attention to wherever there is a need, without asking anything in return, yet not neglecting our own needs and wishes. This kind of love is a freeing one. It instinctively seeks the good of another because it knows that what is good for them is good for everybody, including us. What a long way we have spiritually come in the relatively short time of Anne’s wrote the above words. Ever more of us are becoming aware that the only one who can save and redeem us is we ourselves and the only way it can be brought about is through reconnecting with our Highest or God Self. Her quotes from the Bible undoubtedly represented Anne’s truth, while to me they are speaking of the higher esoteric meaning which, as usual, is hidden behind the surface words. What they are saying is about God’s laws, in particular the law of Karma * or of cause and effect, which ensures that every single one of our bad thoughts, words and deeds has to be made good by us in our earthly existence. I don’t think it should be understood as literally being paid for to the uttermost farthing. But the memories of every one of them, good, bad and indifferent, are stored in the Akashic Records * as well as the memory bank of our soul. These recollections accompany us into every new lifetime and the very cells of our new physical bodies contain their impressions. In the final analysis, that is where the true cause of any illnesses and afflictions we may have to deal with in our present lifetime can be found. Anything that has to be endured in earthly life by anyone is the result of the wheels of fortune or misfortune, as the case may be, we ourselves once set in motion, sometimes many lifetimes ago. During the initial stages of our earthly education, which is compulsory for everyone, it was our own thoughts, words and actions that moved us ever further away more from our true higher or God nature. Any pain we have to go through is the cleansing fire that is part of paying our debts towards those we hurt and harmed in other lifetimes and ultimately God. Throughout the ages this emptying out process has been known by those who before us walked the road back home into the oneness with God. Patiently putting up with our suffering creates the necessary balance in the great scheme and plan of life, and cleanses our spirit and soul. Through this emptying out our consciousness is cleansed of the debris of long outdated old beliefs, prejudices and superstitions, which we once thought of as true. This creates space for fresh knowledge and the understanding that grows from it when we apply it to our daily encounters. This is the only way it can become our property that accompanies us into future lifetimes and helps us to cope with them more easily. In the process of paying our karmic debts to the full, every aspect of our nature heals: mind and body, spirit and soul. When we finally surrender everything we have and are into the loving hands of God and the Angels, we are one of the lambs of God who willingly follows the instructions that are intuitively received from the highest levels of life. Through walking the predestined pathway of a spiritual Master, each one of us eventually evolves into a Christed one in their own right. The Jesus legend is a portrayal of the whole development. Fire is the cleansing, purifying and healing power of God’s creative force. It alone can and does bring to earthly life the healing and gradual dissolving of the pain that has accumulated down the ages in our individual and collective soul and its memories that are stored in the cells of every human physical body and that of the Earth. Only when our human mind and body, spirit and soul have been purified and sufficiently cleansed of the past are our energies right for fully and consciously being re-united with those of God. This is the only authority that can clear us of the misdemeanours and sins we committed in our earthly existence in any one of our lifetimes, including the present one. ‘Lord God, Lamb of God, You take away the sin of the world. Have mercy on us!’ These words can only be true when one grasps who the lamb of God is, namely you and I. Each one of us in their own right has to freely and willingly turn into a lamb of God and patiently endure whatever suffering we have created for ourselves in previous lifetimes and this one. This is an inner experience that could never be brought about through outside forces like the legendary Jesus. The higher vehicles or bodies of every one of us are probably in need of being cleansed and purified. We are bound to have gathered into them many things that are now hindering and obstruction the spiritual vision and understanding we are in this life to seek. That’s why episodes of trouble, sickness and suffering have to be endured presently by so many. Our earthly lessons could include having to cope with being born into a crippled body or getting involved in great tragedies. To create the necessary balance in their spiritual bankbook, some may even have to commit a crime. Wise ones remind themselves that such things always come about through someone’s own choices. This is done in the hope that their experiences will prepare their spirit and soul for being purged and purified through the inflow of the healing energies of the Highest, so that later on they become capable of acting as one of its transmitter/receiver stations through which these precious energies can flow into our world. 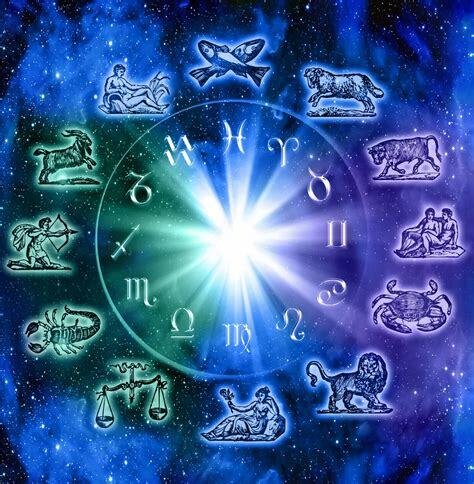 Through a better understanding of the processes of life in general astrology can show us a useful and quite magical way for undoing the knots of time, i.e. of Karma, in our own lives and beneficially influence that of those around us. The Divine science has the power of shedding much light onto the mysteries of life in the spiritual background of our earthly existence. 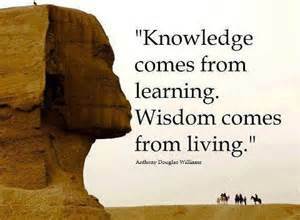 Any wisdom and knowledge we find in this way needs to be applied liberally to those around us. Don’t be shy! Practise on everybody and when they tire of hearing you going on about astrology, continue do so quietly in your mind. The Divine science allows us to view life through the eyes of God. This makes it a great deal easier to meet everybody we encounter with kindness and compassion for their suffering and that of all God’s creatures. Looking at our world this way raises us above the emotional level and stops us from constantly stumbling over and taking offence at people’s idiosyncrasies, their likes and dislikes, as well as preferences and inclinations – positive and negative ones alike. Everybody displays them and there is no harm in that because each one is an important part of our own and other people’s predestined and self-chosen pathway for their present lifetime and the special lessons this brings with it. Being aware of these things can help to overcome much of the irritation and frustration that are inevitable in human relationships. In particular this applies to our nearest and dearest when occasionally their behaviour is less than satisfactory, which it can be quite frequently, if we are honest with ourselves. The reason for this is that the difficulties they are encountering are most certainly of karmic origin, the same as ours. Nowhere is there more karma to be found than in families. Small wonder then that those relationships are frequently our most fraught and difficult ones. All unresolved problems and issues that are left behind at the end of any given lifetime, we bring with us into each new one, in the hope of resolving them this time round, once and for all. If you have the feeling that this is the case with some of your relationships, do not despair. Through new understanding and forgiveness the Universe places the tools for redemption, reconciliation and healing into everybody’s own hands. We are here to improve every one of our human relationships and heal them. Especially the most difficult and fraught ones are waiting to be worked on and transformed into spiritual friendships of a higher nature. That’s the only way of releasing and letting go of each other, when the moment for doing so has come. Both parties need to free themselves, so that each can get on with pursuing its own individual evolutionary pathway, which may well lead them into totally different areas of interest from each other. Each one has been granted the gift of another lifetime at this very special time so we can liberate ourselves from those with whom we have negative karmic ties. 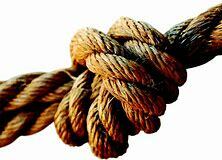 They are of an emotional nature and it is essential for the everybody’s spiritual progress that we should no longer be hampered by the chains and shackles of our unfulfilled karmic obligations and unpaid debts that act like steel ropes that could have kept us tied us to each other for a great many lifetimes. This is where astrology comes into its own. Your studies of this subject will be greatly enhanced by quietly observing everything that is in your life through the eyes of an astrologer. Make mental notes and take delight in discovering how surprisingly much of everybody’s behaviour is actually governed by the Sun sign they were born into. The wisdom gained from this can provide us with the wings we need to lift ourselves above earthly life into the realms of humankind’s eternal home and its higher spiritual nature. With the passing of time, with the help of our own intuitive insights and observations these wings are sure to grow ever more powerful. That is the most essential requirement for the spiritual progress we are in this life to seek. It is impossible to fly on someone else’s wings and regardless of how elevated and revered a teacher may some day cross our path, there is no replacement for doing for ourselves and gazing deeply into the mirror of the self. Having reached this point of our development, nothing but utter honesty with ourselves and others is good enough. And when we discover where our own thinking and behaviour patterns are in need of a good spring cleaning, we feel the urge to start sweeping in front of our own inner doors and tidying up our consciousness. 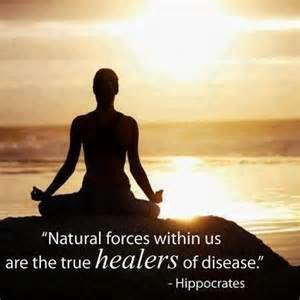 As ever, first healer heal thy self! Hippocrates ca. 460–377 B.C. wrote: ‘Life is a comedy for those who think and a tragedy for those who feel.’ I believe that, by approaching our existence from a different perspective, it can be transformed by us into something joyous and yes, a comedy – a comedy of errors, namely those of failing to understand the higher purpose of our earthly life. Everybody’s view of our world differs at least slightly from that of any other. This is because for each one of us it is based on the memories of the experiences we gathered in the course of many lifetimes, which are stored in our soul. As each one’s pathway up to now has varied from all others, it is not surprising that our world views vary such a lot. When we begin to tune the receiver/transmitter station of our earthly mind into the frequencies of the highest levels of life that form the spiritual background of our earthly existence, with the passing of time one slowly finds out ever more about the wise higher purpose it fulfils. God and the Angels have always been speaking to our world with the help of symbolisms and metaphors that are hiding the esoteric truth hidden behind the surface words of the religions. One of the oldest ones is the symbol of the cross *, which represents humankind’s earthly existence and its suffering. The cross we are all carrying on our shoulders is the earthly personality which, in the course of many lifetimes has been created by none other than us. Jesus is a metaphor for our higher nature who is carrying the cross of its earthly personality on his shoulders. How about taking the cross on our own back and by seriously getting to work of improving it. But how can anyone do that for as long as we don’t not know enough about it? This is especially true for our less likeable unpleasant characteristics. Because everybody has the very best as well as the worst within, we all have them. It’s just that for a long time we project them onto others, when in truth they are our own *. That’s where astrology can be particularly helpful. It takes a long time until we grasp that the Universal laws see to it that everything we send into our world, in thoughts, words and deeds, unerringly finds its way back to its sender. When this has dawned on us at last and someone causes us harm, the need for dwelling on hateful and destructive thoughts of revenge gradually goes from us. This is replaced by feelings of wanting to forgive them and praying that their trespasses should also be forgiven by the Highest forces of life. It is essential for our mental, spiritual and physical well-being that we lift them and us in this manner above the emotional planes of our earthly existence. Something similar happens when we begin to observe the people in our environment through the window of astrology. Using it for the purpose of fortune telling has never appealed to me. Yet, you can count me in any time when it comes to combining astrology with psychology, because in the right hands both together can be turned into a powerful healing instrument. Any wisdom that is gained in this way needs to be shared with others. They too can then begin with their own healing journey of a thousand miles that commences with a better understanding of the higher purpose and meaning of humankind’s existence and quite naturally leads us into reconnecting with God and our oneness with every lifeform. I believe that nobody could place a finer gift from the Universe into people’s hands than my kind of astrology. So why not stick your toes into the water and have a go at being your own astrologer *? If you do, I guarantee you that it won’t take long until you discover for yourself how amazingly versatile and flexible the Divine science is. Like me, you will be amazed in how many ways it can be used for finding a constantly improving understanding of practically every aspect of life. For example, getting in touch with our innermost motivations and learning about our potential. The aspects the planets form with each other in our birthchart are excellent indicators of where our credits and debts are in the karmic ledger of life. And so on and so forth. The creative processes are relentlessly at work. 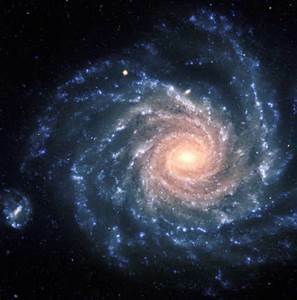 Life at all times is evolving, moving forwards and upwards in vast spirals onto ever higher evolutionary levels. We and our world are carried along with this towards increasingly uplifting and beautiful experiences. Nothing in the whole of Creation ever stands still, not even for the briefest of moments. The Sun in the sky above us is a good example of this. Without ever stopping in its orbit it constantly radiates its life-giving and sustaining love and warmth to Mother Earth herself and everything she holds in her loving embrace. The same is true for the whole of God’s Creation. Everything is wheels within wheels, and cycles within cycles. Everything is moving and all things and conditions are constantly changing with it. Astrology reflects this. Some of the components of the planets of our solar system are sometimes turning at different speeds. Good examples of this are the Sun and Jupiter. Not all their latitudes are turning at the same rate – some are dragged along behind, some may overlap. Our Sun spins round its own axis and one of its full turns takes about twenty-five to twenty-seven days, the duration is variable. Our Sun is part of the Milky Way, our galaxy. This too is moving. We orbit the hub of the Milky Way and one of its circuits takes about two hundred and twenty million years. Our solar system is presently moving towards the galaxy cluster Virgo, at the breathtaking speed of one million miles per hour! It needs bearing in mind that all scientific information about space and planetary matters also are constantly revised and updated, as our scientist gain more understanding. Incidentally, the fact that our solar system is presently moving towards the galaxy cluster Virgo seems to me of particular interest for our world and the healing work we are all involved in. At the beginning of the Age of Aquarius and bearing in mind that Virgo is the teaching and healing sign of the zodiac, our whole world is currently taking part in a learning and healing experience of truly Cosmic proportions. All the help in the Universe is waiting to be called upon by us for each doing their own share of bringing our new and peaceful world into being. God and the Angels will safely guide and protect us and our world through any inner and outer cleansing and healing process that may be required. Praise and thanks be to them that the time for this has come, at long last. And as ever, astrology provides us with an instrument for a better understanding of what is happening to us and our world.